Trevor is the elected community leader of Langrug. He is also very active in ISN (Informal Settlement Network), and often attends meetings and conferences for his role in that. He is passionate about improving the community of Langrug. He is very aware of how the community may view our work, and expresses their desire to see physical progress. 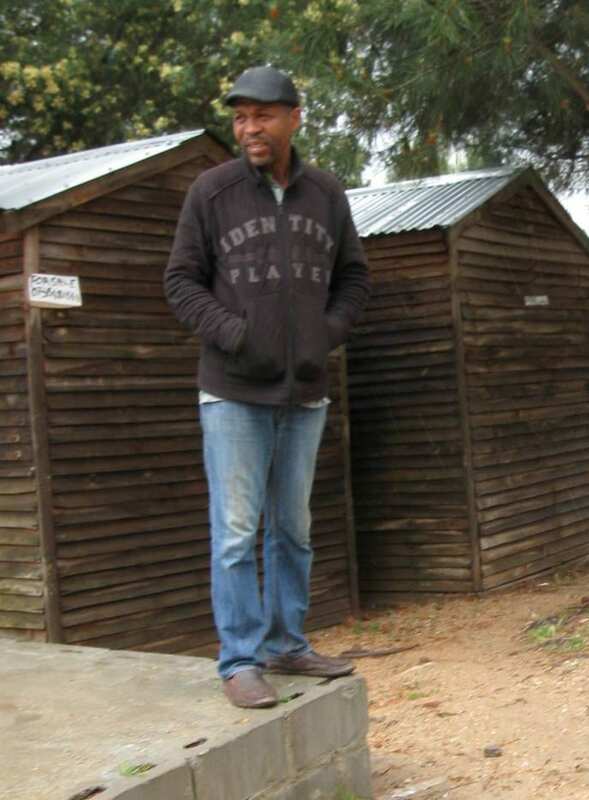 With a strong background in construction, Trevor managed the building of the Mandela Park WaSH facility after WPI left. Trevor helped us take measurements of the site for the new facility and provided us with much information about construction for our proposal. 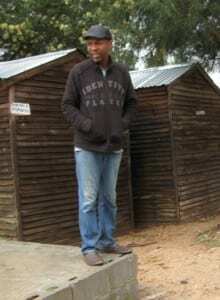 Nobathembu is a community leader who runs a crèche in Langrug. She lives in Zwelitsha, and was the first person to build a shack there. As a member of the Zwelitsha community, Nobathembu was essential in promoting interest in a Zwelitsha facility as well as recruiting the team of co-researchers. 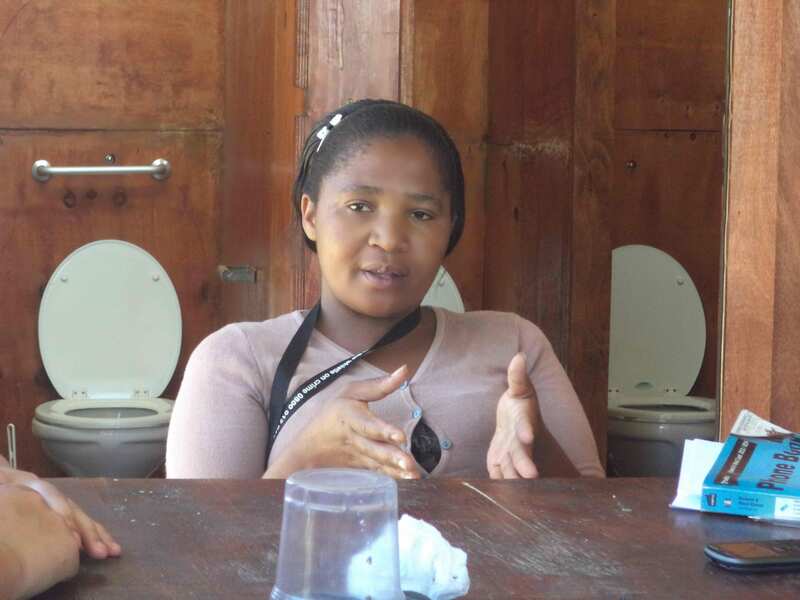 For more information on Nobathembu’s work in the crèche, see her involvement with the team Early Childhood Development Connection. Victoria, Poto, and Tahembisa are the caretakers of the Mandela Park WaSH facility. These women began volunteering as caretakers when the facility first opened, and have since been hired by CORC to maintain the facility. Siya, Noncedo, Funeka, and Washington are the team of co-researchers. 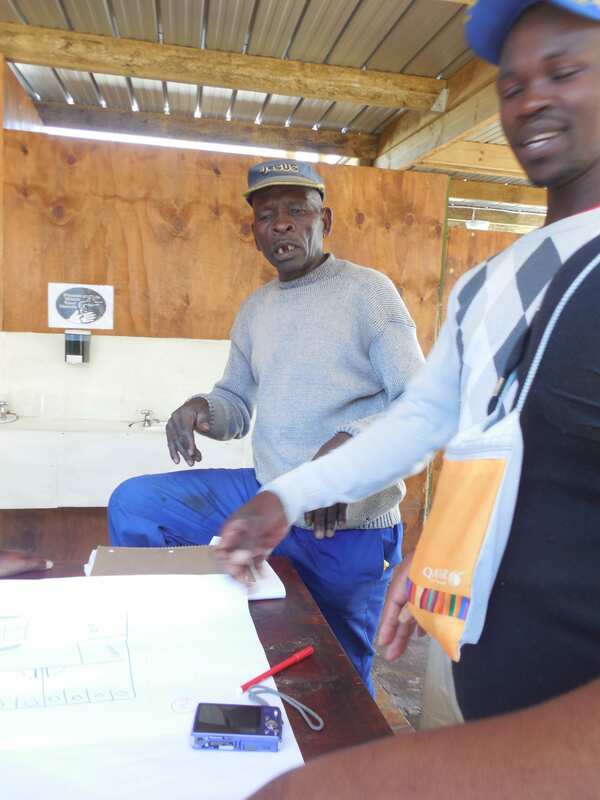 They live in the community of Zwelitsha, and stepped up to assist us in designing the Zwelitsha WaSH facility by offering valuable input. 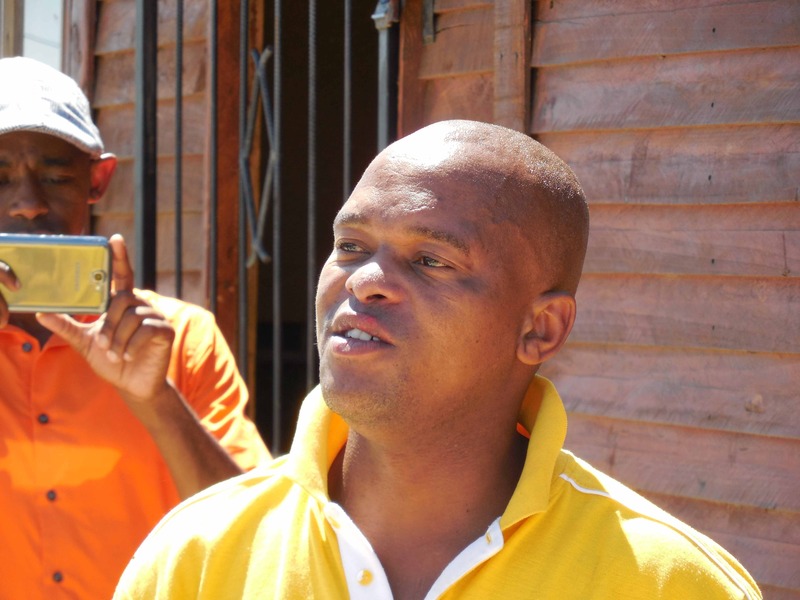 Siya has experience in working in construction with plaster and cement. Noncedo is the mother of two young boys, and Funeka also has two sons. Washington is an elderly man in the community and was essential in voicing the opinions of the other co researchers as he speaks very good English.